Although scholarship in philosophy of action has grown in recent years, there has been little work explicitly dealing with the role of time in agency, a role with great significance for the study of action. As the articles in this collection demonstrate, virtually every fundamental issue in the philosophy of action involves considerations of time. The four sections of this volume address the metaphysics of action, diachronic practical rationality, the relation between deliberation and action, and the phenomenology of agency, providing an overview of the central developments in each area with an emphasis on the role of temporality. 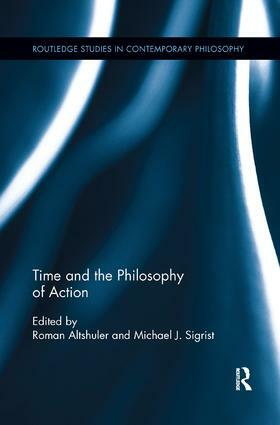 Including contributions by established, rising, and new voices in the field,　Time and the Philosophy of Action　brings analytic work in philosophy of action together with contributions from continental philosophy and cognitive science to elaborate the central thesis that agency not only develops in time but is shaped by it at every level.